THOUGHTSKOTO Thoughtskoto : Filipino Domestic Workers in UAE Soon To Have Weekly Day-Off and Yearly Paid Leaves! 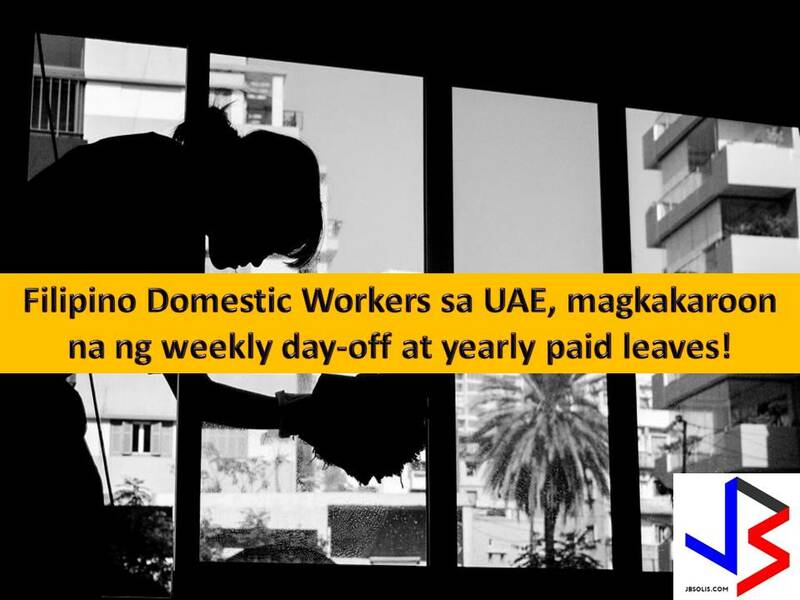 Filipino Domestic Workers in UAE Soon To Have Weekly Day-Off and Yearly Paid Leaves! The Federal National Council (FNC) of the United Arab Emirates has approved a draft federal law on domestic workers. Under the law, domestic helpers in UAE including Filipinos could soon be entitled to receive a weekly day-off. According to Emirates New Agency, also known as WAM, the FNC aims to establish a relationship between employers, domestic workers, and recruitment offices. The proposed legislation shall also protect domestic helpers against physical or verbal sexual abuse, human trafficking, and forced labor. Earlier, foreign diplomats express concern about the flight of domestic workers working in UAE. This is also the reason why there is a proposal for the legislation that was approved during the 17th session of the second ordinary session of the 16th legislative chapter at its headquarters in Abu Dhabi, chaired by Dr. Amal Abdullah Al Qubaisi, Speaker of FNC. 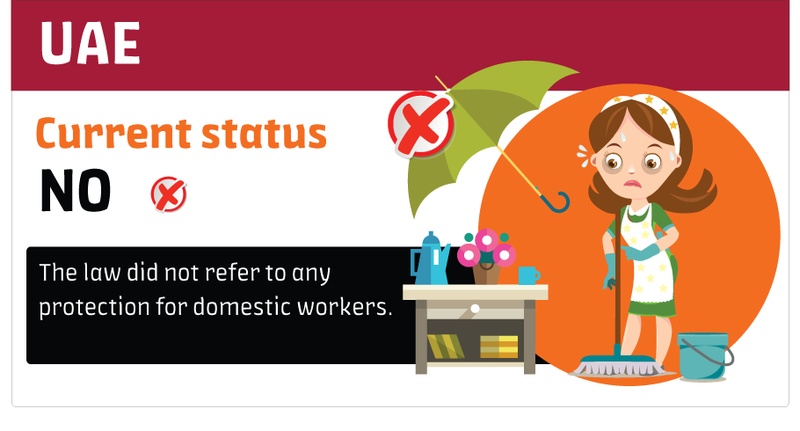 According to Human Rights Watch Report in 2014 regarding abuse of domestic workers in UAE. Most of the 99 domestic workers interviewed said that their employers had confiscated their passports to ensure they would not escape. Many said that their employers forced them to work long hours, up to 21 hours a day, with no rest breaks and no day off; did not pay them their full salaries, if they paid at all; gave them little or spoiled food; shouted at them daily; and in some cases, even physically or sexually abused them. Some of these abuses amounted to forced labor or trafficking. Hundreds of thousands of domestic workers are working in the UAE. They are from the Philippines, Indonesia, India, Bangladesh, Sri Lanka, Nepal, and Ethiopia. No More Suspension for New Hires OFWs in Qatar!